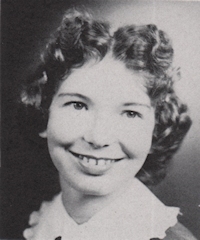 Obituary – Austin, Carmalita (Henry) « Perry High School Alumni Association, Inc.
﻿Glee Club 52-53, Mixed Chorus 52-53, Class Assembly 51-53, Library Staff 51-55, F.T.A. 54-55, Class Assembly 54-55. 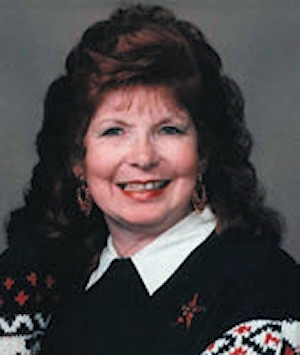 Carmalita Austin, 80, of Mansfield, Ohio, passed away on Tuesday, June 7, 2016. She was born to Irl and Verla (Oden) Henry on January 2, 1936, in Perry, Oklahoma. Carmalita was Perry, Oklahoma’s first new years baby of 1936. She worked for JCPenney’s as a window dresser and also worked for General Motors in Anderson, Indiana. She made Christmas decorations and antique jewelry. Carmalita was an amazing decorator. She loved to shop and she loved clothing. Carmalita is survived by her daughters, Tammy (Tom) Zeller and Kerri (Tony) Stringer; her nieces, Toni and Debbie Connelly; three grandchildren, Joshua (Brandice) Zeller, Mariah Zeller and Tobie Zeller; her great grandson, Jackson Zeller; dog, daisy; and friends, Don and Sandy Volk and the Hahns. Henry, Ron Henry, Don Henry and Bob Henry; and one sister, Verla Connelly. A celebration of her life for her family and friends will be held at 11 a.m., on Sunday, June 12, 2016, at Tammy’s house. Memorial contributions can be made to the Richland County Humane Society.